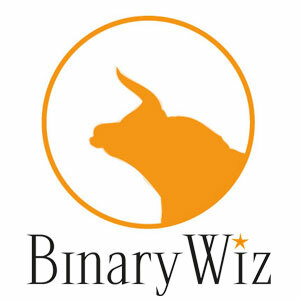 In order to start trading binary options you must first understand the basics so you could become a successful trader. Read this Binary Options 101 tutorial to get you started the right way. The basics of binary options are truly simple, but in order to become successful in trading you must first know the basic grounds. There are a few important things you must know about binary options trading and you must understand them well – Expiry level/time, Call options, Put options, and investment amount. As soon as you understand the binary options basics you are ready to go and earn a lot of money! Before we invest in a binary option one of the most important things to know is the meaning of an underlying asset. Is it a currency – Forex ? A stock? A commodity? Pair? Or maybe an index with the base for producing the particular option. Expiry time is one of the binary options fundamentals and its crucial to understand its use as one of the binary options basics. The expiry time is very important in use of binary options trading and is a part of every binary options platform you will use. Most of the binary options trading platforms have the selection between monthly, weekly, daily and hourly expiry times. Some brokers even offer a very quick expiry time of 60 seconds. If you choose right between the selections of the expiry time you would greatly increase the potential of earning from binary options. The expiry time is one of the most important basics of binary options, a wisely use of this tool could make you benefit well from binary options trading. When you start trading , there are two ways to purchase a binary option. The first way is Call options. When you choose to buy a Call option, you expect the price of the underlying asset to go higher than its current price at a fixed time – the expiry time. Example: Lets say you buy Gold at a price of 1,725.3$, and you expect this commodity to go up by the expiry time, then you would employ a Call option on it. The second alternative you have when you’re about to purchase a binary option is a Put option. When you think the price of a certain asset is about to go lower than its current price at the expiry time you chose, you should buy a Put option. Remember there are only two possibilities when it comes to binary options, Put option and Call option. Example: If you buy Apple at the price of 676.27$ and you expect this stock to close below its current level by the expiry time than you should make a Put option. Once you have studied each of the binary options basics individually and understood each one of the basics you are ready to invest! The basics are very important for your success with binary options trading, and the heart of a successful binary options investing. When you feel sure you understood all of the basics, trading binary options will be much easier and increase your potential earnings. Once you are a successful investor of binary options, you can teach other people how to invest in binary options.